In an environment of “have it your way” consumers and digital transformation pressures, you as a retailer are in a race to deliver a differentiated and superlative customer experience. The brand promise starts from before your customer's first click, and even extends beyond receipt of your product. A key to your success is the ability to rapidly transform fulfilment operations. This includes the ability to leverage store locations and store associates to deliver fulfillment services such as buy online and pick up in store and ship from store – all while balancing operational profitability. 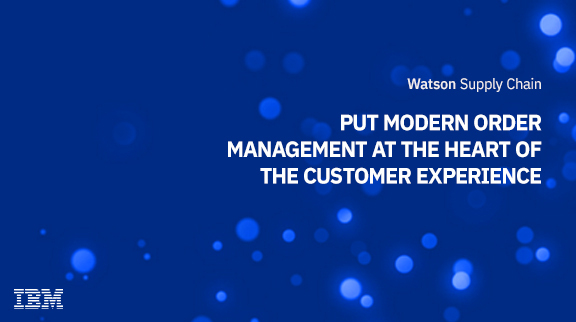 IBM Order Management Software v10 is now available to make it easier for you to exceed client expectations such as these while watching the bottom line.